A few weeks ago, I got a note from a reader named Justin in regards to a piece I wrote called “Cavern.” In his beautifully worded letter, he asked me to describe my friend Janet’s motorized wheelchair in order to create a memorial for her. If you recall, Janet (a.k.a. ‘Pepsi’ or ‘Pehpsee’) has been a fixture here on the Eternal Sophomore because she is, bar none, one of the most important positive influences on my life. She was one of the very first people to adopt me inside the Myst Universe. She helped me win the Myst Movie writing contest with “A Trip Through the Linking Book“, a piece about how she, the Cavern and the entirety of the Myst Universe has impacted my life in a very real, very positive way. Justin’s note shined light on something I have never really written about: the day Janet died. On the evening of December 28, 2004, I went to my computer after dinner to check in with my friends around the world. Upon checking my e-mail, I received a note that changed my world forever. It was from Katie Postma, gently telling me that Janet was gone. I sat staring at the words on the screen in disbelief. My mind just would NOT accept it. I knew Janet was down because of the surgery on her ankle, but I thought she was doing better! Next thing I knew, I literally crumbled into my ex-husband’s arms wailing, “No! NO! She can’t be gone! No!” and he held me while I wept uncontrollably and inconsolably for hours that turned into days. Someone might as well have set off a nuclear bomb in the middle of my chest because, as far as I was concerned, the world had ended. The very first person who I felt truly accepted me for who I was, was gone. My lamp in the darkness, my best pal, my sister, my teacher, my collaborator, my favorite peacemaker, would never light my screen up again with a “What’cha doin’?” It’s ten years later, and I can still feel the incredible loss. Justin wanted to know some very granular details about Janet’s chair, its’ color, make, model, if there were any decals or stickers on it; a bevy of details that I sadly don’t have because she never shared that information with me. You have to understand that in all the time I spent with Janet in Cavern, through all of the projects we collaborated on – from how to publicize Cone Kicking and Eddie Soccer matches to mapping the D’ni Games Marathon Course – we never talked about what she couldn’t do. We always talked about what she could do or what we had plans to do together or projects we wanted to undertake to benefit our global Cavern family. To be honest, in the majority of time I spent with her, I never knew about her condition and how juvenile arthritis had taken its’ painful toll on her life until the very end. But if you knew Janet, that’s not a revelation that would surprise you. If you had spent even five minutes with the woman, you knew that she wasn’t about pain, she wasn’t about complaining, she was about solving problems and keeping everyone else’s spirits up when the hard times inevitably came. To put it succinctly, she never focused on herself, she focused on what the community needed. If I have ever been likened to the sticky stuff that holds things together, I’m convinced I learned those skills from Janet. She was a problem solver, not a drama maker, and I am convinced that she wouldn’t want to be remembered for her wheelchair, but for how she lived: a life spent humbly serving her community to the best of her abilities. Janet taught me to always give more than I take. Janet taught me to always greet everyone I meet with a smile on my face and love in my heart. Janet taught me that even though life may deal you a pretty dismal hand, you have to do the best you can with what you have and don’t complain a word about it; just be grateful for what you have and get on with life. Take on life’s tasks like a soldier storming the breach. So what if you are lame and cannot scale the wall alone? Does your lameness prevent you from asking for help? But, contrary to what you might think, Janet wasn’t the one who needed to ask for help. Instead, she was the hand reaching down from the top of the wall, stretching with all her might to reach out and help pull you up. She had this uncanny way of always finding the bright side of just about anything, no matter how bad things truly got. But on that dark day when I thought all was lost and Janet “Linked to the Perfect Age”, I made my pal a promise: I would never let her legacy die, that as long as I remembered her and carried her words forward, she would live forever. As her husband would later tell us, “Every morning she got up without fail and went to the computer to do ‘her work’.” Janet’s “work” was comprised of moderating several forums, doing full-time greeter shifts in Cavern helping out new Explorers, working as a part of the D’ni League of Activities (D’LA) to make the term “Explorer-Based Initiatives” a part of every community member’s vocabulary. She referee’d cone kicking matches…heck, you can name it and Janet was probably right in the middle of it. She ate, breathed and slept Cavern even more than I do! And that’s a lot! Her whole goal was to take on any task that had to do with maintaining high community morale. She was committed to “the cause” that was Uru; whether it was because she felt like it had given her her legs back so that she could run, jump and climb again, I’ll never know, but if it was for the good of the community, she was neck deep in it. She wanted Uru to succeed that badly. But, there were two things you would never find her doing…being negative or hurting another living soul on purpose. I honestly believe there was not a single malicious bone in her body. Okay, she could be a pistol at times, yes, but truly malicious? No way. and everyone loved her for it. I think of an empty workstation with a can of “Pehpsee” clearly visible on the desk; computer and monitor on, notes strewn all around the desk (puzzle clues, maps, phone numbers), post-it’s stuck on the edge of the monitor with written reminders; all of it just waiting for her to come back, as if she’s just taking a break for a moment. Of course, you could simply add tire tracks on the floor to infer the nature of her chair, but that’s just me of course. Janet would never want to be remembered for being “the lady in the wheelchair.” She would want to be remembered for the work she DID, and that’s the most important part. Don’t be afraid! Get involved, share your gifts, and you’ll find your niche! The next day, I was an amateur sports reporter for the D’LA. Now, ten years later, I’m a journalist. So, now here is where YOU come in. Yes you, sitting there reading the rantings of one of the many, beyond count, friends she left behind. I guess we’re still here to carry on Janet’s legacy, an initiative if you will, that reminds you, and everyone you interact with, to give more than you take, to greet everyone you meet with a smile on your face and love in your heart. Life is far too short to spend it complaining about other people and not being honestly grateful for what you have, from your health to the smile on your child’s face when you make the time to play a simple game with them. Every day I look out into the world and see people complaining, being greedy and malicious pains-in-the-backside. I see people neglecting the needs of their fellow man, completely unaware of how much damage they are doing to everyone around them with their craptastic attitudes. This just will not do! Not according to Janet, not according to me, and not according to her legion of friends who carry her legacy forward every single day of their lives because they saw with their own two eyes what it means to live a life of humble service and never take for granted that they can run, jump, climb and be a positive influence on all those around them. This is The Janet Initiative. It is following in the footsteps, yes, footsteps of a truly great woman who understood that sometimes we have to exercise patience when faced with adversity, that when life deals us not-so-favorable cards, it’s time to be grateful for what we DO have and make the very best of what we’ve got. And doing it ALL, no matter how badly it hurts, with a smile on our face and love in our heart. If Janet could do that without flinching and not even whimper about her own pain while doing her part for her community, you can stand up and join her, can’t you? Can you make a positive difference in someone else’s life without asking for anything in return? Can you be kind when you have no reason to? When your patience is tested, can you hold your wrath in check? Can you live without pride? Can you be generous instead of greedy? Can you be selfless in a way that sets a standard for others to follow? Since it’s the New Year, it might be time to try something new. I suggest taking some initiative and help us carry Janet “Pehpsee” Burress’ legacy forward. Heaven knows, the world needs something much different than the negativity we’ve sadly become accustomed to, don’t you think? Shift into positive gear. Do it for Janet. I’ve been waiting a long time to publish this on my blog, and thanks to some groovy plugins and some ingenuity, I’m proud to share The D’nitos Ad with you. The D’nitos Ad was my very first recorded advertising script as voice talent on The Cavern Today. While the ad is cute, the story behind the ad is a lot more fun. Let’s set the way-back clock for 2007, my first time behind the mic for any type of audio gig. I was on Skype with my producers, J’nathus and Anthony (think Nathan Lane and Matthew Broderick from The Producers), and we start talking about the bag of “D’nitos” near Zandi’s trailer in Uru: Ages Beyond Myst. The bag that launched a thousand jokes. The funny part of it is: Whenever I see the blue bag of Doritos at the store, I can’t say it right, I always call them Cool Cleft Flavor D’nitos. Something inside of me just can’t quite seem to revert back to a non-cavern reference. As far as the content of the ad goes, the fact that I supposedly “stole” the bag from Zandi’s trailer is kinda gross because that bag of Cool Cleft Flavored D’nitos had been open since around 2002. 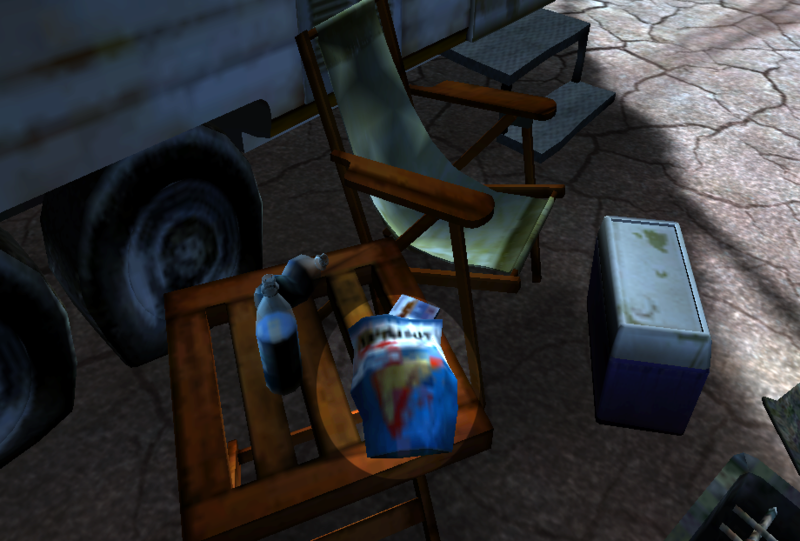 But regardless of the age of that chip bag, from the day that ad aired in 2007, it lasted far into 2010 and D’nitos became a staple of our podcast ‘diet’. From being a source of emergency food for Wolfgang D. after the crew found him sealed in a box he had tried to mail himself home in after the final from-cavern podcast leading to Topside Podcast 1; to J’nathus snacking on them while the rest of the crew was moving our resident composer’s piano across a very rickety wooden bridge in the game’s opening area called “The Cleft”, bags of D’nitos are never in short supply inside the offices of The Cavern Today. D’nitos-mania never really has gone away and if you go into MystOnline.com, all you have to do is go to the cleft and there, next to Zandi, sitting and waiting for you will be a bag of Cool Cleft Flavored D’nitos. 1993. History is made when two brothers, Rand and Robyn Miller, make the game Myst in their garage in Spokane, WA. Myst becomes a worldwide phenomenon sparking five sequels: Riven, Myst III: Exile, Uru: Ages Beyond Myst, Myst IV: Revelation and Myst V: End of Ages. Here’s the part I get involved: Uru. It was one of the very first broadband-age massively multi-player online worlds. It was my first virtual world experience and the sole reason I have the job I do now as a world concept designer. Uru takes place, for the most part, in a massive underground cavern. In Uru, I met my friend Janet Burress. What I didn’t know at the time is that she was bound to a motorized wheelchair due to juvenile arthritis. The woman hadn’t walked on her own since she was 14. When I met her she was 51. Because of several members of my family, my cavern Aunt Lee and especially Janet, arthritis is one of my sworn enemies. It is one of two philanthropies I support, the other being Parkinson’s Research for my Uncle Bill. I won’t ever stop until arthritis is history. Long story short is that Janet went in for a procedure on her ankle to relieve some of the pain she was in. A bone chip got loose, got into her bloodstream and went to her brain. On December 28, 2004, I lost one of my very best friends. The thing about Uru to Janet is that she once said it was the first place she felt like she could run again. It was also the place she took a bullied girl and turned her into a functioning part of the Myst Community, first as a sports reporter for an in-game activities organization, then later on as a podcaster, finally, Janet’s dream for me to become a journalist will have reached fruition in May when I graduate as a Journalism and Media Studies major, my second degree and the one that brings me the most pride as I am a Leadership minor, something I could have never, ever done had Janet not adopted me in an in-game neighborhood in some obscure MMO started 10 years ago. So, when you hear me say I’ll be “in-Cavern”, you can log in to Mystonline.com and find me running around in-game. It’s free, it’s a blast, and it’s all spatial problem solving with people with IQ’s off the chart. The kicker is simply this, you don’t have to be a genius to play Myst, you just have to have a good heart, a willingness to learn and realize that perseverance, heart and lots of love will always win the day. Well that and there are a whole lot of folks, including me, that if you say “I need help”, you don’t just get help, you get an army of people who will share time with you and help you learn all about the wonderful worlds of Myst. Here’s a secret: If you want to get in really good with me, jump head first into the Myst Universe. You’ll undoubtedly notice that I’m working on my new presence. In my 10 years inside the MMO genre, I will tell you without hesitation that a game rarely ends up exactly the way it is envisioned by it’s creator. Often, a game asset just thrown in for fun can mean dramatically more to the community of players that interact with those assets day in and day out. Take for example Uru’s orange traffic cones. The cone. Who knew it would be so poignant? Now, to the average person it’s just an ordinary traffic cone, but to someone from Uru, it’s so much more! It’s a hat, it’s a way to play a practical joke on someone, it can be made into a Stonehenge-like “conehenge”, it can be used to create graffiti along with so many other things, and to be quite blunt, there are some days I sit back in awe over what Uru players can and have done with an orange traffic cone. Inside Uru back in the day, a fluke in the physics engine revealed that if a player did it right, it was possible to balance their avatar on an inverted cone. It took skill, timing and patience, but it was definitely possible. Lo and behold, a whole new way to enjoy a traffic cone emerged, “Cone Balancing.” Yup. Don’t look at me, I didn’t do it. However, there was one explorer by the name of Sudre that could take a cone and basically make it sit up and bark. In the forums, there are long conversations surrounding “The cone”; tragic tales of “lost cones” and of course, there are more tales than you can shake a stick at about how someone went to the bathroom only to come back and find themselves “Coned” like poor MisterCloak in the photo. What really gets me is that some folks hold the cone in reverence, like a Virgin Mary mysteriously appearing in a piece of Wonder bread…it’s odd to say the least. It’s a cone made out of KI Markers. But I’m the last one who should be saying anything at all! Hell, I nearly took a photo of a stack of them in Lowe’s the other day to share with my friends inside the community! I once saw a pair of my friends, in real life mind you, run headlong into a busy intersection to save a single stranded cone in the middle of the street. I often sit back in sheer awe and wonder what folks in my online community will do, can do and have done for the sake of the orange traffic cone. One fact remains: I seriously doubt the person who came up with the idea of having an interactive orange traffic cone in-game ever thought it would mean so much to so many. By far though, my favorite photo of a “cone moment” is the one and only Rand Miller running from a cone. Run Rand! Cone Madness has struck the community! 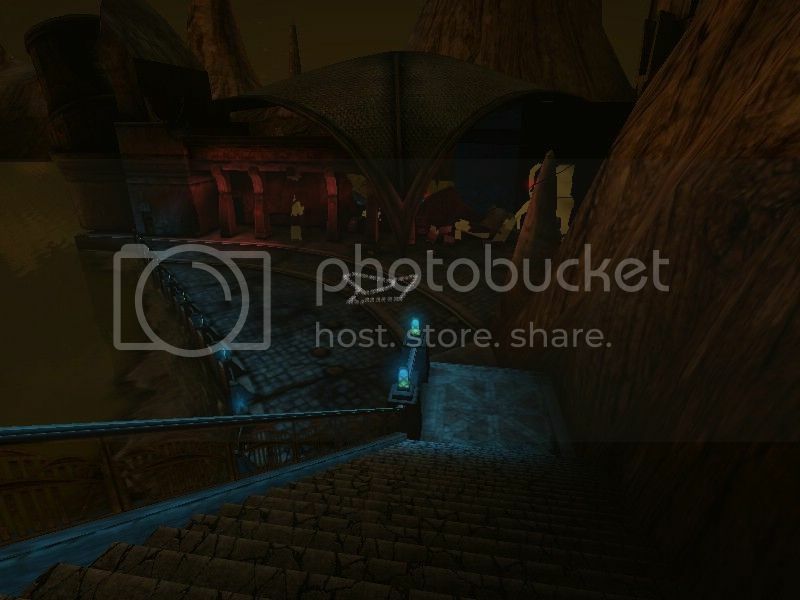 I often write in my blog about the wonderful adventures I’ve had by just picking up my Myst Reader, logging in to Myst Online, or just booting up my favorite in the franchise, Myst IV, to hear Peter Gabriel’s voice bring Dream to life. But to be honest, my favorite part of being involved in the Myst Universe is that it never fails to inspire. I started out on my journey in 2003 when I just kept eating through game title after game title. To be honest, I was stuck in a foreign country with no friends, so the only thing I could do, outside of cleaning my house, was play games. And did I play. The game boxes started stacking up as I’d go through a title or more per week. Seeing that he couldn’t sustain that kind of consumption, my ex-husband asked me one night at dinner if I had ever heard of the game “Myst.” Not knowing what it was, I wondered what he could have been eluding to, referring to the spatial problem solving he had mentioned. Later that week, he brought me a very old version of Myst. I loaded it up and began to play, but this time instead of decimating the game in a week, Myst took me over a month to finally finish. At that point I was hooked. At around that same time, a commercial was playing on television, one that had the music of Peter Gabriel singing “Burn you up, burn you down” while these amazing graphics and images of mushrooms went across the screen. A few months later, after begging profusely, underneath the Christmas tree was a brand new box containing Uru: Ages Beyond Myst. After I installed the game, I went to work on it, savoring every last beautiful detail, listening to the music and being enthralled at the sight of an avatar that looked just like me wandering the great city of D’ni. 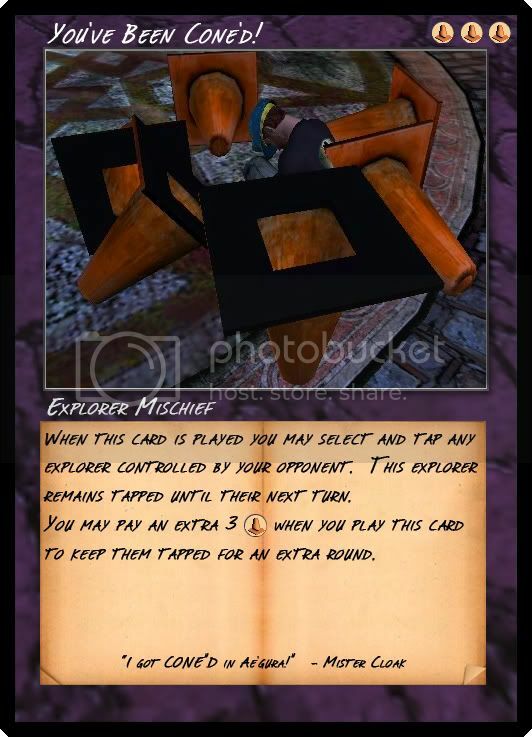 Back in 2003 when Myst Online first opened, I was lucky enough to be invited (in the great clerical error of very early 2004) to the open beta test. It was there, among lag and countless restarts, that I bumped into a wonderful woman named “Pepsi”. She was a real treasure. In the early days of UruLive, sitting on the worn stone floors of a neighborhood, Pepsi taught me some of the base tenets of the Myst Universe: that I should always greet everyone I meet with a smile on my face and love in my heart; that there is no room for bigotry or bias; that the world is meant to be explored one stone, and one dream, at a time. When she wasn’t online and I was alone, I would spend hour upon hour in-world, scouring it to learn all I could about the fascinating world she had welcomed me into. I went through each of the ages, from The Cleft to Gahreesen, scouring and exploring every last nook and cranny of the game with a fine-toothed comb, searching for journals that held game lore, reading practically everything could get my hands (and mouse pointer) on; then memorizing the city itself, every inch of navigable (and sometimes not-so-navigable) terrain I could get my avatar’s feet on, so that I could navigate Ae’gura’s streets like a true D’ni native. It was after so many hours spent immersing myself in the Myst Universe that I realized I had finally found a place that felt like a true home. I was lucky enough that, during the brief time that UruLive existed, I made so many friends and was wholeheartedly accepted into a very unique family. And that woman named “Pepsi” was the beating heart of it all. The adventure had only begun when it came crashing down on us like a great cave-in. Ubisoft, the game’s publisher, had deemed our community “financially non-viable”. A bean counter, a person who had no idea what they had in their hands, pulled the plug on our world because our community of 10,000 wouldn’t service the bottom line and turn a big enough profit for them. Uru, the one place in the universe that can teach anyone to live without succumbing to the seven deadly sins, was killed by greed. It was catastrophic, leaving a community of 10,000 to cope with the loss of friends that had quickly congealed into a giant family. We literally became a diaspora. A people without a home. After UruLive closed down, in my efforts to cope with the enormous loss, I went back and played Riven and Exile. Lucky for me, right about that same time, Myst IV: Revelation was coming out with the creative ground zero, “Revelation Lair”, being at Ubisoft’s Montreal Studio. Thank goodness for forums, because I was lucky enough to communicate with some of the greats of the community which allowed me to be invited and attend the “Quad-M” or The Montreal Mini-Mysterium Meet where I got to go to Revelation Lair and meet the game designers, sound designers and the wonderful folks who brought a piece of the Myst Universe to life. I still have my M4 coffee mugs from that day and they’re used quite regularly. I have photographs from those days of us hugging Pepsi bottles and sending photos to Pepsi to let her know she was with us in spirit the whole way. Before social media, we found a way to make sure that Pepsi could say she was at the Quad-M. But then came a glimmer, then there was hope, finally, an announcement that the one place (in the entire universe) that I had finally found a home was going to be available again. I could go home, take a breath of metaphoric cavern air, sit on the grass of my relto and be at peace. We were being given a beautiful second chance: UntilUru, fondly remembered as “UU”. When we stepped into UntilUru, I got together with some friends and created the D’Olympics (they later changed the name to the D’ni Games). You see, the woman who taught me how to live as a part of the Myst Universe was a bit of a mystery herself. I found out a few months after UruLive closed that she had juvenile arthritis and had been bound to a motorized wheelchair since she was 14 years old. When I met her, she was 51. My best pal and ‘running buddy’ couldn’t run. Period. My mind reeled. All those things I took for granted in my every day life, that I could run, jump and climb any time I felt like it, go to the gym, slap on my new Armond hiking boots and climb the mountains of the Adirondacks…all those things that I could do, Pepsi couldn’t. It never even occurred to me for a moment that she couldn’t. As far as I knew, she was just like me! So after coping with the knowledge of Pepsi’s situation, and watching a woman put together the Athens Olympic games, I sat down with a few friends and we designed the first D’ni Games in Pepsi’s honor. If she loved to run, then I was going to build her a marathon course, and we did. We had everything you can imagine, from the opening ceremonies to the marathon, all sorts of running events, people playing Ayoheek, diving competitions, you name it, if it was possible to be done with the physics engine of that game and the imagination of the players, we did it. After three months of planning and countless man hours, over a weekend in October, the games ran for 72 hours solid, the first large scale event of its’ kind ever undertaken. There were hundreds of volunteers and hundreds of virtual athletes, the Myst Universe became a place where people not only solved puzzles together, but where players from around the world came together in friendly competition. There was even a man who made up medals and mailed them to the winners. The day of the opening ceremonies, we waited for Pepsi but she never came. Her health by that time was in decline. She had gone in for a procedure and the pain made it so that she couldn’t play. She never saw the marathon run and she died three months later on December 28, 2004. But to this day, I don’t take a step in a virtual world or the real world without remembering her. After I moved back to Las Vegas, I found the Myst Reader in a local bookstore. I soaked up every page. I went through the three novels in a matter of days, chuckling at the screenshots inside the cover of the ages of Er’cana and Ahnonay. The Book of D’ni is my favorite by far, Windgroveisms aside, I found that the relyimah of Tehranee were kindred spirits of mine. In my life I’ve seen the cruelty of other human beings all too often and to see it personified in the shorn heads and black clad bodies of the Relyimah, it made me weep. It also gave me the strength to stand up for myself. After all I had gone through in my personal life, the abuse, trauma and so forth along with the prejudice we were shown when part of the Uru community moved over to There.com only to be treated as relyimah and taking years to become a recognized, positive force in the community, I relented and moved my virtual life to World of Warcraft where my night elf druid named “Relyimah” (after the slaves of Tehrahnee) could literally turn into a great tree, heal those in need and spread the word of the Myst Universe. I go to sleep every night after reading passages from three books, The Meditations by Marcus Aurelius, The Republic by Plato and The Myst Reader. All three books have helped me become a better person by just touching them. They’re my link to wisdom because I realize what Socrates said was true, “The wisest person in the world realizes they know nothing.” But I also remember that just like the great city of D’ni, things we hold dear can vanish just as quickly as it came to us. The perfection of the city, the time spent in the young days of UruLive, the fleeting time I got to spend with Pepsi, they’re all gone now, but as the great writer I am, those days will live on in my memory, always tied to the beauty of Myst. I might sound like a lunatic who takes the Myst Universe far too seriously, but to be honest, Myst taught me a lot, it saw me through recovering from addiction, it gave me purpose and it gave me what no one or nothing could. Hope. So to me, I’ll thump my Myst Reader at anyone who will stop and listen. I’m an Uruite, a citizen of the Deep City of D’ni. Long live the Myst Universe. Cavern Blood Runs Deep. For a long time, this has been a topic I’ve been dying to cover. Yep, with the rise of so much technology around us, I’m almost positive we all know someone that is either hooked into World of Warcraft, Uru, Second Life or any of the rest of the Massively Multi-player Online Games (MMOG’s) that are on the web. We can’t forget to mention the millions of Facebookers who love nothing more than to sit and play Farmville or Mafia Wars, even down to Bejewelled. One thing is certain, in one way or another, whether it is through a cell phone app or computer, we’re all plugged in to an online game. Historically, all of this started with chat rooms and MUD’s (multi-user dungeons). The thought of a bunch of Dungeons & Dragons players hovering around a monitor anxiously anticipating the results of the moves they had made via green or amber type reminds me of how I played football via text on my old Apple IIe in the same way. Either way, it wasn’t the most fun you could have, so it’s no wonder technology has advanced to keep us interested in the games we’re playing. I remember that my playtime on my Apple IIe was never very long. Instead of the enduring the green type displayed on my monitor, I could go over to my small bedroom television, turn it on and play my Atari 2600 by the hour. My favorite from back then? Raiders of the Lost Ark for Atari, and oh, looking back at it, the graphics were bad. It all started with bitmaps. Another game I loved from back then was Pitfall. Can you hear the Tarzan call sound effects? But there were only so many vines you could swing from, backs of crocodile heads to jump on, scorpions to avoid, ladders to climb, and various other things to jump over. It was the same screen over and over again. After dying to a fire or falling into a tar pit for the fifteen-bajillionth time, I’d find myself bored again and switching cartridges to find something else to become bored with. But that was the extent of home video game entertainment back in the 80’s and it was cutting edge at the time. Cutting edge or not, it never held attention for very long. Yep, it wasn’t easy back in the days of bitmaps to sit by the hour. Yes, you could definitely spend hours doing it, but at one point or another you always shut it off because let’s face it, it wasn’t very immersive. Back then, there was only so much you could do with a video game that only had a joystick or a paddle as it’s controller and eventually, you’d either beat it or become bored with it. Finally, when we had amused ourselves enough, it would sit and collect dust while we found something more exciting to do. Now, let’s fast forward to thirty years later. Instead of the same screen over and over again, or descriptive type on the screen, we have something far more engrossing than what we once did. Enter the online world. Isn’t it funny how far we’ve come? The point is, now, in video game culture, there are a multitude of immersive environments that give a sense of realism to what we are playing. Yes, it’s all still pixels on a screen, but in comparison to the days of the old Atari 2600’s and ColecoVision consoles, even back to the archaic lines of text in a MUD, it’s something completely different. It’s a whole new world and people are lining up by the millions to explore the plethora of new environments spawned from the imaginations of game designers. Trust me when I say that when someone has grown up in a world where video games were only a quarter (25 cents) for three lives, the prospect of having unlimited lives or the inability to die at all, but if your avatar does die, the fact that you can resurrect and keep going has a pretty strong appeal. The game never ends, it just keeps going and in turn it has allowed us to sit longer, become more engrossed and engaged in what we’re doing. We’re not getting bored anymore doing the same thing over and over again because the days of those types of games are long gone. Now, I’ll be the first to tell you, I’m not a console gamer. Closest I come to a console video game is my Wii that I do my yoga with every day. That’s the extent of my console gaming. I tried playing games on my Wii, but, I became bored with it, much like I did with my Atari 2600 and my Apple IIe back in the 80’s. No, the juice now is with my computer. All seven hundred and fifty gigabytes of hard drive space, quad core processor, and six gigs of RAM that make everything I ask it to do run like silk, even though it’s now two years old. When a computer runs as smooth as mine does, it’s comparable to sitting behind the wheel of a high performance sports car, enjoying the incredible power in your hands. It makes the archaic text football game I played on my Apple IIe back in the 80’s look like I was playing with blocks. Now my game time is spent in immersive worlds that have text on the screen yes, but it’s not telling me the action that is happening to my character, instead, it’s conversation between me and other players. We’ve all heard of the proverbial sports widow, whether they are football, basketball, baseball, hockey, you name the sport, there have always been sports widows. With the advent of online worlds, there is a whole new wave of widows coming to the forefront. Yep that’s right, like watching a game on television, we’ve got a whole new set of folks who have no interest in online games and hence, they watch their spouse, girlfriend, boyfriend or relative plug away by the hour leveling toons, solving puzzles and spending time adventuring with people in distant cities connected to them via the internet, much to their neglect and chagrin. Now, as anyone will tell you, when you have a great toy, you’re not very likely to put it down. With the advent of social worlds like WoW or Second Life, well, we’ve come upon a whole new set of widows that would rather see our computers go up in flames or see our subscriptions cancelled rather than hear another word about our gaming adventures. They don’t care if we just hit 80 or downed the Lich King, they don’t care what new clothes we designed and put on to our avatars. To them, if it all went away, they’d be happy, just like the football widow who breathes a sigh of relief when the season comes to an end. However, what ever happened to showing interest in what your partner does? Now, I’ll be the first to say I envy all of the couples who engage in their recreational activities together whether it be hiking, watching sports, going to the movies, playing video games or the list of things a couple can do together. It’s always fun to see them enjoying themselves and sharing their adventures, increasing the enjoyment of their chosen activities because they do them as a couple. Enter the diametrically opposed couples. The one who loves to watch TV versus the one who wants to go hiking. The recluse versus the socialite, the gamer versus the non-gamer. In WoW, where I spend the most time, we have a phrase for the non-gaming spouse who loves nothing more than to repeat ad nauseum the fact they hate our chosen form of entertainment. It’s called spousal aggro. If you don’t know what aggro is…aggro comes from the word aggravate…get it? It’s the flak we take from the non-gamers around us when they don’t understand what we’re doing and/or prefer that we didn’t do it, then interrupt us while we are in the middle of heavy in-game action. I would be remiss if I didn’t mention that with online worlds, there comes a certain point where each and every one of us who play in them need to recognize the fact we have to put them down. I’ll go the point that some people take their gaming far too seriously, to the point of addiction. I remember seeing a video on You Tube of a child throwing a tantrum and destroying his bedroom after his mother cancelled his World of Warcraft subscription. Ok, that’s a bad thing. If he was to the point he couldn’t survive without plugging in to his online world, he needed to stop. He got too caught up. He needed some time off the computer if his online world meant more to him than the real world. A lot of the online world widows I know of don’t really understand why gamers play. In fairly violent worlds such as World of Warcraft, it serves as a great stress reliever. Think of it this way, some people, like my friend Jeff, work in call centers all day long; they get called rotten names, they’re blamed for things that aren’t their fault, day in and day out. Instead of taking all of that negativity into themselves or lashing out at the people around them, they relax by killing a few monsters, achieving a personal best or vanquishing a bad guy made of pixels. Personally, I think that’s a pretty constructive use for a video game. It also gives a great ego boost as well when you’re praised for the good things you’ve done while in a team environment such as a dungeon or a raid. Even when people are brought low by something as horrible as a death in the family, a relative getting cancer or in the midst of a divorce, that small amount of time, that you might believe is so huge, is really a comfort and distraction to them so they can better cope with the ills that life has dealt them. However the most important fact above all is this: we all need to recognize the fact that online worlds, while they are an escape, are just there for their nutritional value as entertainment, they are not a substitute for real life and they most certainly shouldn’t be used to mask a more serious underlying problem. Life has to be dealt with, problems can’t be solved if you avoid them by using a video game as an excuse. Most reasonable players I know, including myself, are evening gamers, ones who partake in their online world of choice only after all of their ‘real world’ commitments have been covered. It’s the proverbial den, circa the turn of the 19th century, where men went to relax after dinner for brandy and cigars to share stories of bravado and to decompress from the rigors of society. It’s a few hours in the evening where we blow off steam, play as a member of a team and enjoy the company of friends. The conundrum that comes along with living with someone who likes to play in online worlds is that the players really get immersed. However, there are some things you can do to learn to live better and happier with your family members who enjoy online worlds, giving you a more healthy and fun relationship. Have you made an effort to understand the game or activity they are partaking in? A lot of times, spousal aggro comes from the fact that the spouse of a gamer really doesn’t understand the game that’s being played. Whether it is role playing, leveling, puzzle based or first person shooter, each game has a unique appeal that the gamer has come to identify with in some part of the experience. A good thing to do in that case is to ask why they enjoy the game, what nutritional value they get out of it and find out if there is some sort of mutual point that you could engage them at so that they feel you are genuinely interested in what they are doing. If the game they are playing holds no interest for you, that’s fine, but you really should take the time to really make an effort (and don’t go half way) to get to know why they’re playing. Who knows, you may just like it once you understand it better. Either way you go, you may find out something new about your spouse, partner or relative in the process. Have you actually sat down and tried to play the game they are playing? Take a moment and ask your gamer to let you sit behind the controls of their avatar. Ask them to show you how to control the character’s movement; have them park you at a test dummy and let you cast some spells or use some abilities. Feel what it’s like to press the buttons, do some damage and make things go boom. Give the game an honest chance and try to immerse yourself the way your gamer does. If it’s not fun for you, fine, at least you can say you’ve tried. But here’s the caveat: there is a chance your gamer will backseat drive you while you’re driving their toon. Be patient, they’ve spent hour upon hour perfecting their toon and their play technique. Listen to them, but if they start driving you nuts, express some boundaries, after all, it’s a miracle you’ve gotten this far. Allow them to understand how incredibly precious the moment is to you and how much you want to understand what they’re doing and how much you want to understand why the game is so special to them. In online worlds like World of Warcraft, there is quite a bit of skill that goes into learning how to play the game well. It’s timing, hand-eye coordination, it’s awareness of the people around you, it’s learning a strategy, and there is usually a lot going on when an end-game raid or player versus player situation happens. There are lots of mistakes a player can make and it takes a lot of concentration and effort to do things just right. What is uncommonly known to people who live with end-game raiders is that it is very easy to get into a situation that is frustrating or mentally taxing, especially when a player is learning a new fight. Their eyes are watching timers, health bars, their spatial relationship to other players, their abilities bars (also known as cast bars), the aggro meter, the damage meter, the foe’s health bar, the foe’s abilities, dodging damage and all the while listening to and communicating with their fellow players. Now ask yourself if it’s a really good time to give them grief when they’ve got all that on their plate already. If you think it’s easy, try again. This isn’t Pac-Man on the Atari 2600 back in 1983. Gaming these days takes more effort than it ever did because it’s even more complex. It’s not meant to be easy. If it were, 9 out of 10, we wouldn’t be playing it. They’re most likely playing for the challenge. Have you asked them questions about their avatars and the game they’re playing? Part of the draw of online games is how performance driven we all are in our every day lives. Think about those who strive for promotions at their jobs, that live by strong ethical codes and so forth. Those folks are probably trying to do the same thing in their chosen online world. Whether it’s solving a puzzle correctly or attaining that next level, reaching the current-end game content and beating the final boss, there is always some sort of neat new thing that they’ve gotten and are proud of receiving. Ask them about their avatar. What’s that weapon they’re carrying? Why do they have a staff instead of a sword? Why did they choose that shirt over another? Why are they in a specific location? Why are they casting a particular spell or using a particular ability? Be genuinely curious about what they are doing. There are lots of neat questions you can ask your gamer if you take the time to understand why they play, the conditions of the world they’re playing in and the reasons that they do the things they do with their avatars. What abilities do they have, what do they find as the coolest part of their avatar? Who does your gamer hang around with in-world? Another great part of being in online worlds is that they’re social. Your gamer is spending time with folks who have similar interests and the same hobby. Odds are, they’ve made a lot of friends, they have guildmates, they have people who reside in the same area in-game as they do. Ask your gamer who they are. It’s no harm or foul to be interested in their fellow players. More than likely, they’ll have more than a few funny anecdotes to share with you. Find out more about who your gamer hangs out and plays with and why. You might even make a new friend as well and get the nutritional value of meeting someone new who shares common interest with your beloved gamer. It might just reveal something about your gamer that you didn’t know and can be a wonderful jumping off point for new and exciting conversations over dinner or times when they choose not to play. Is it a role-playing world? Believe it or not, some worlds such as Uru (U-R-U as in “You Are You”) are based around the tenet that the player is (outside of the avatars pixelated appearance) for all intents and purposes, the same person that you’d meet if you met them in real life. In this aspect, the people, even though they are being represented as a pixelated character, are just as genuine as in the real world. They represent their personality in the world they play in just as they do in the physical world. On the other hand, there are role-playing worlds (World of Warcraft has servers specifically set up just for that purpose), in which your gamer has come up with, through their own imagination, a character that behaves in a way that is completely different from their real lives. It is a different play style altogether. If you have a role-player, a great way to understand them is to ask them about their character. What are their motivations for playing the character in the way they do? What purpose does it serve in the larger picture and atmosphere of that world? Odds are, if you didn’t know that your gamer is a role-player and find out that they are, there can be great conversations about their imaginations and their motivations for creating their characters. How do you find out whether or not your gamer is a role-player? Ask! Just the simple question, “is that a role-playing world (or server)?” is a great way to find out. If they seem bashful about it or if it sets them off, don’t be taken aback by it. Some people don’t like to share those things, but if you reinforce that you’re only curious, and you’re accepting of the fact they do, odds are they’ll overwhelm you with details. If your gamer isn’t comfortable talking about their role-playing, don’t push too hard about it. Ask if you can sit in and watch them play. Overall, for anyone who lives with a gamer, it’s time well spent to sit and watch your gamer and be amazed by their skill and imagination. Ok, so now you’ve swallowed your hatred for online worlds and taken the time to show positive interest in your gamer and why they play. You’ve even sat behind the controls and been mystified by how incredibly your gamer handles their avatar. Now it’s time for the gamer to do the same for you. As we’ve covered, spending time with your gamer can provide you new insight into who they are and it is only fair that they spend an equal amount of time with your interests as they do their game. It shouldn’t be a tough sell. If you have a resistant gamer, you should take the time to find out what their in-game schedule is like and plan around it. Yes, I know it seems to be too giving and structuring your life around the play time, but it really isn’t. At first, your gamer might be a little hesitant to give up a raid night in lieu of a movie night, especially if it’s a new occurrence. Give it time. If you’ve already created a situation where you think they play too much, you need to sit down and talk with your gamer and come to an agreement on relationship priorities and how time should be allotted to give you both equal nutritional value from the situation. If you both come to an agreement that will give you both equal play time, you’ll find life will be much easier. Give them time to adjust to a new habit. However, this does not mean that they can’t meet you half way. If you allow a set amount of time for their gaming, they can allow a set amount of time for your activities too. Don’t let them get away with not meeting you half way. Relationships filled with nutritional value are also filled with a lot of give and take. Be equal. Don’t give too much and don’t take too much. Most of all, don’t yell or scream when things don’t go exactly as planned. Give them lots of reasons to turn off the computer and spend time with you. It’s only fair that if you have made the effort to understand your gamer, they can do the same for you. Online worlds are a hobby for most gamers. They’re fun, they provide a positive outlet for aggression and they can be a great confidence builder. The biggest thing I guess I can say about living with people who love online worlds is that simply, the real world has more to offer than the digitized one. Hobbies are great, but so is going outside to throw a Frisbee or taking a trip somewhere with someone you love. Online world widows, remember, if you take the time to show interest in your gamer’s world, you might find out something interesting. Please don’t tell them that you don’t have time for what they’re interested in, that hurts, and it’s not exactly fair. You may not be interested in their game, but you should at least make sure that they are aware that you are interested in them enough so that they’ve got a reason to turn off the game. For all you gamers out there, make time for the real world. Show interest in what the non-gaming folks in your life like to do. If they take the time to understand you, the least you can do is try to understand them. I know you wish for your flasks and buffs in every day life, but remember, you’ve already got them, they come from within. All the magic you create in-game is nothing compared to the magic you bring by being around the people who love you in the real world. Besides, too much time on the machine isn’t good for you. Go outside! Enjoy ALL the aspects of your life, not just your virtual one. And if you don’t believe me, I’ve spent years as an end-game raider. Exactly at the same time I was killing the Lich King, my University GPA was a 3.73. Beat that.